My favorite pens. The infamous pen is on the right, a gift from my kids is on the left, and a throw-back to my calligraphy-writing days in the center. I love pens. I have one pen that has its own stories. Pen story #1: I was visiting a friend on the east coast and she needed a pen so I loaned her mine. She accidentally dropped the pen on the tile floor at Macy’s and it broke in pieces. I said not to worry about it, but she knew the significance of it and I had a new pen (thank you, AmazonPrime) before I boarded the plane home. Pen story #2: The craziness continued one week when I lost my pen at work. There was nothing short of a self-selected SWAT Team looking for it. My work colleagues knew how much I loved the pen and took up the search and replace efforts as their own. When it wasn’t found, a colleague ordered me a new one! I wasn’t panicked in either situation – it is just a pen – but the reunion was fun both times. 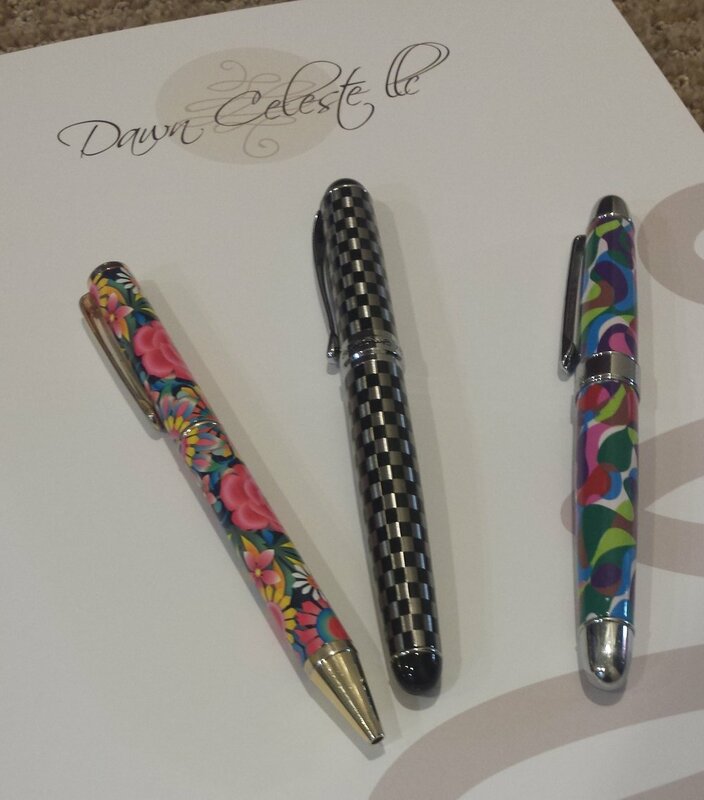 Now I have three favorite pens. It’s good to have more than one favorite. It makes misplacing one much less dramatic. So, love my pens, but think this career season is all about the future and dreaming and making growth happen. It’s time for a pencil.